OVERCOME YOUR LIMITING BELIEFS TO ACHIEVE THE IMPOSSIBLE. 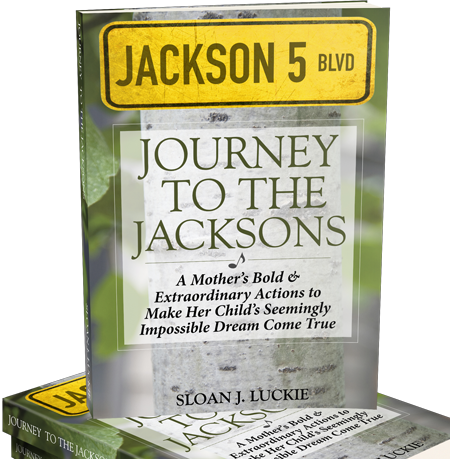 In this true and timeless inspirational story, a single mother of two relies on her faith, instead of her limited finances, to pursue her daughter’s dream of meeting her teen idols — Michael Jackson and the Jackson 5. Your genuine love for others can sometimes drive you to act in ways that seem irrational to those around you. You can achieve your most far-fetched dreams by taking risks, making sacrifices, and stepping outside of your comfort zone. You don’t have to know the end in order to begin. The best thing you can do is to step out in faith. When we're able to live in the impossible and embrace any discomforts, uncertainties, and risk, we can experience things beyond our wildest dreams. If you can’t play the video embedded above, please click here. Here are excerpts of the preface and the first three chapters of this inspirational book. “What did you say?” I asked incredulously. Though I heard her, I found it difficult to believe what I was hearing. I never questioned which Michael she was referring to. “Michael is gone…” she responded, followed by complete silence. “Michael has died?” I said aloud. Sherree, who was sitting in the passenger seat next to me, stared at me in total shock. Her phone began to ring. A relative of hers was calling to share the same sad news I had received from Colette. Sherree then called several friends and family member to confirm the report. Some said they’d heard he’d been rushed to the hospital and was in critical condition. Others claimed that he had passed. Still in disbelief, I turned on my radio to hear the same news of Michael Jackson’s untimely and unfortunate death. My mother, Sodonia Luckie, arrived in New York City with her three children Cecil Jr., Robert, and L’Tanya in 1954. Years before, they’d lived on March Field Air Force Base in Riverside, California with her husband Cecil, an Air Force sergeant. In 1950, Sodonia’s husband was assigned to a base in French Morocco where she and her children would live for several years. After moving there, Sodonia’s husband became increasingly abusive to her and developed a reputation as a womanizer. Sodonia made many attempts to flee. In the summer of 1954, Sodonia planned her final attempt at escaping. She had become more familiar with his schedule and decided to wait late in the evening. He’d begun getting late-night assignments on the base and would spend the remainder of the evening womanizing on the streets of Casablanca. On the night of her planned escape she had Cecil Jr., Robert, and L’Tanya get fully dressed as if they were going out. “You want us to wear our outside clothes to bed, Ma?” Cecil Jr. asked. “Yes, Cecil. I want you, Robert, and L’tanya to put on your clothes tonight and get under the covers,” she whispered. All three children lay under the covers fully dressed, with shoes on their feet. Sodonia wore her clothes under a nightgown she’d often wear to bed. “Colette, can you run upstairs and get your radio?” Roxanne asked. Colette opened the screen door, ran up the ten stairs that led to her bedroom, and got her transistor radio off the top of her dresser. It was a white transistor radio shaped like—and about the size of—a softball. It had two aluminum dials to control the volume and tuning. On the other side of the ball-shaped radio was an open window that contained the dial information. It was also equipped with a small chain for easy carrying. She ran downstairs to rejoin her friends. She turned on the transistor radio with one of the dials and raised the volume. She used the other dial to tune into the station. The static could be unbearable at times, so she repositioned herself on the stoop for better reception. She searched for WWRL and WBLS, two popular radio stations that regularly played the top hits in soul, urban contemporary, and R&B music. See what readers had to say about the Book. The book is an amazing factual story demonstrating what unwavering faith truly can do to build and sustain a loving family. The book reads fast as it is so fascinating. After reading the book, you will feel inspired to take on any challenge no matter what obstacles lay before you. The author does a great job of painting a picture of the 70's and just how big the Jackson Five were at the time. If you want to be encouraged, inspired, stimulated, motivated and entertained than I highly urge you to read this book. From the first chapter, this amazing account of a mother's strength and determination to live outside the box and follow the yellow brick road will lead you on a journey you wish would never end! if you grew up in the 1970s you will especially appreciate the trip through the era's popular culture; whether you care to remember it or not I dare you not to smile! The rich detail in the narrative puts the reader center stage and takes you right along on this family's seemingly impossible quest to meet their favorite performers. I could not imagine this happening today! I think the key was one mother's love to another; a family to a family, regardless of fame or stature, that is the most heartwarming aspect of this book. Read it and pay it forward to someone who could use a boost of spirit! What an amazing book and an amazing journey! This book was truly inspirational in showing you can achieve anything you want, if you put your mind to it. You really felt Colette’s excitement over the music and of course Michael Jackson. It made me want to listen to every recording The Jacksons has ever made. I felt like I was actually on my way to "The Jacksons” with the lucky Luckie family. I don't want to give anything away but this is definitely a must read and one of my favorite books of the year! You will not be disappointed. Choose from two different formats: paperback and eBook. Both are available on Amazon.com. SLOAN LUCKIE has the God-given purpose to uplift and encourage others—body, soul and spirit. This purpose is evident through the writing of his two books, Journey to the Jacksons: A Mother’s Bold & Extraordinary Actions to Make Her Child’s Seemingly Impossible Dream Come True and Body Under Construction: How to Build and Maintain Optimal Health at Any Age. His books are meant to inspire people around the world to adopt healthy habits and make positive and bold steps to live life to its fullest. Luckie’s inspirational aptitude has garnered great public and media attention. 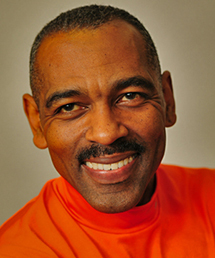 He has appeared on NBC’s “The Talk with Marion Brooks” (click here to see video interview), “NY1 with Cheryl Wills,” graced the pages of Syd Jerome magazine, and conducted companion food-shopping events, fitness demonstrations, and book signings throughout the country. Sloan also is the founder of Body Under Construction, LLC—an organization devoted to optimal health and fitness. He lives in Flossmoor, Illinois with his wife, Sherree, and three children: Chanel, Sloan II, and Sterling.